Three years ago, Greg Boehm launched a special month-long holiday cocktail pop-up called Miracle on 9th Street in his soon-to-open bar, Mace. It was a good way to generate interest in the new bar while making the most of the holiday season, but the pop-up proved to be so popular, that Boehm took the concept on the road, and by 2015, dozens of bars around the world were hosting their own Miracle pop-ups. Boehm wasn’t the first to dabble in the pop-up realm. Cocktail pop-ups have been going strong for a while, but what Miracle and other more recent pop-ups have shown is that they have staying power, and that they can provide an unique opportunity to try out new ideas. What do today’s iterations of the cocktail pop-up look like? From tiki takeovers to culturally influenced pop-ups, the concepts are getting more elaborate. 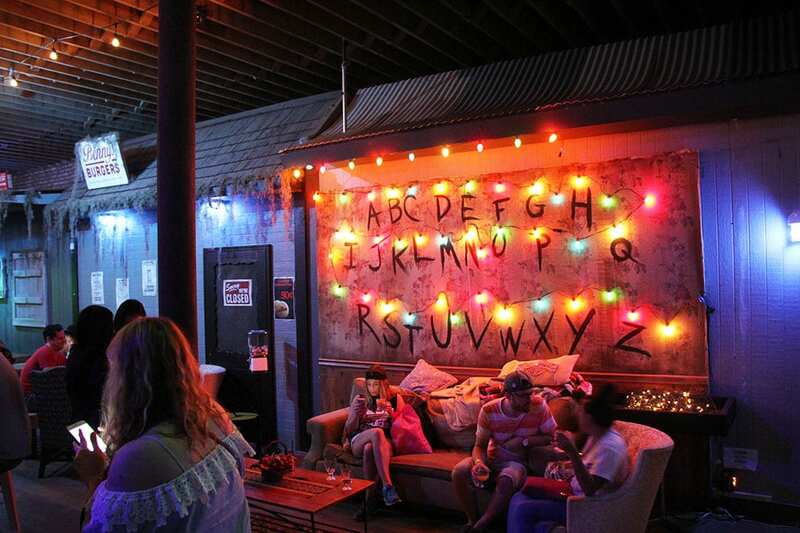 In Chicago, The Whistler celebrates May 4th every year with a Star Wars themed pop-up, and last May, Howler Bar in Brunswick, Australia hosted a Twin Peaks pop-up. Last winter, Houston’s Anvil Bar & Refuge took over Chicago’s Lost Lake for a week with a Texas Tiki Disco, and in San Francisco, ABV launched a bar-within-bar concept called Over Proof, which changed every few months with an entirely new space and menu design. 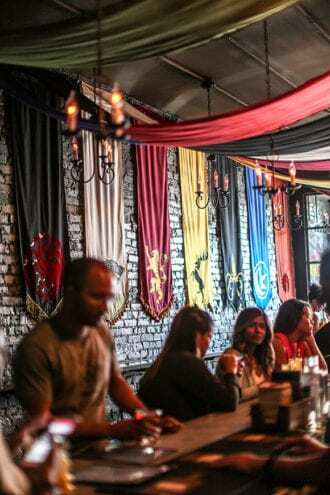 House banners drape the bar at the Game of Thrones pop-up in Washington, DC. | Photo by Farrah Skeiky. 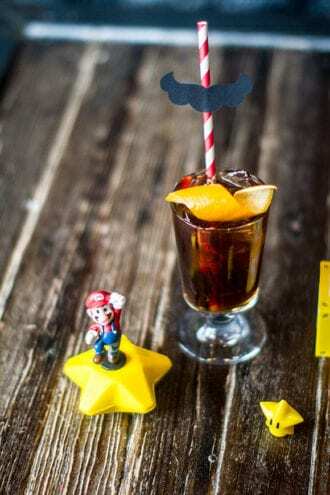 One of the cocktails from the Super Mario Brothers pop-up in Washington, DC. | Photo by Farrah Skeiky. While themed pop-ups stretch the imagination, they also beg the question: Is it all too much? Isn’t going to a bar for a round of drinks with friends entertaining enough? Saul points out that themes have always been part of American drinking culture in some way, citing trivia nights, tribute DJ sets and drinks named after pop culture references, but for guests who line up around the block, it’s obvious these pop-ups offer a more transportive experience—total escapism as they sip from a goblet or listen to 80s-era music while drinking a cocktail garnished with an Eggo waffle. This month, Brown’s space and the one at Emporium in Chicago will both transform into Halloween-themed bars. This teaser trailer previews Brown’s upcoming PUB Dread, and at Emporium, the main room will be dubbed the House of the Dead and include interactive installations and Halloween-inspired cocktails, all culminating with a Night of the Dead costume party on Halloween.